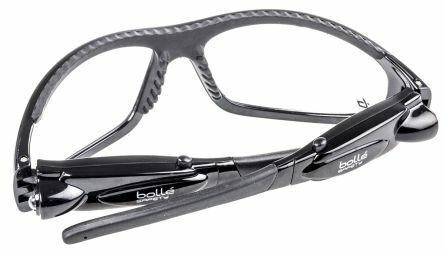 The Bolle Galaxy GALAPSI Safety Glasses have a protective frame with non-slip TIPGRIP temples and a non-slip bridge. 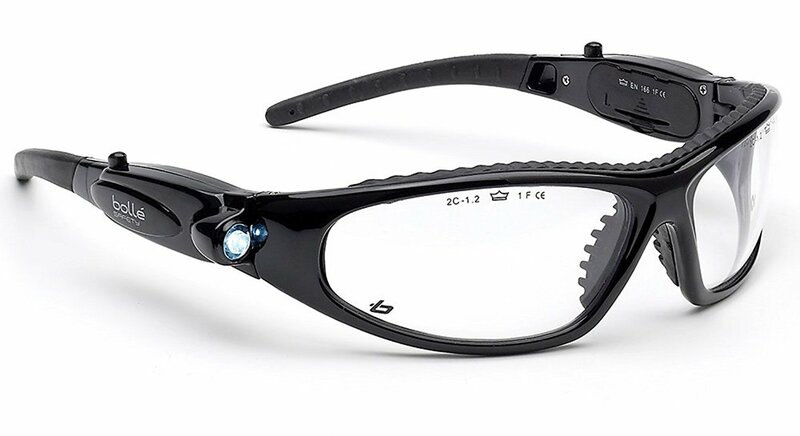 Ideal in the dark, GALAXY protects the eyes and Diode feature to guide you around your work in poor light conditions, all thanks to the integrated LED. 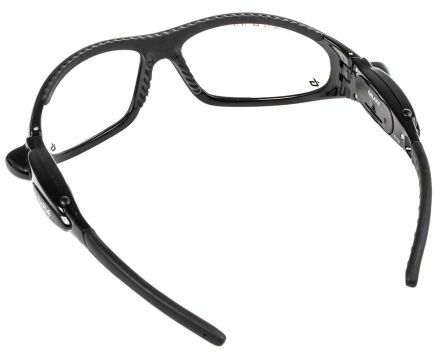 Polycarbonate close fitting glasses, providing the wearer with protection and light, TIPGRIP technology ensures a better fit thanks to its dual-material design and innovative shape. 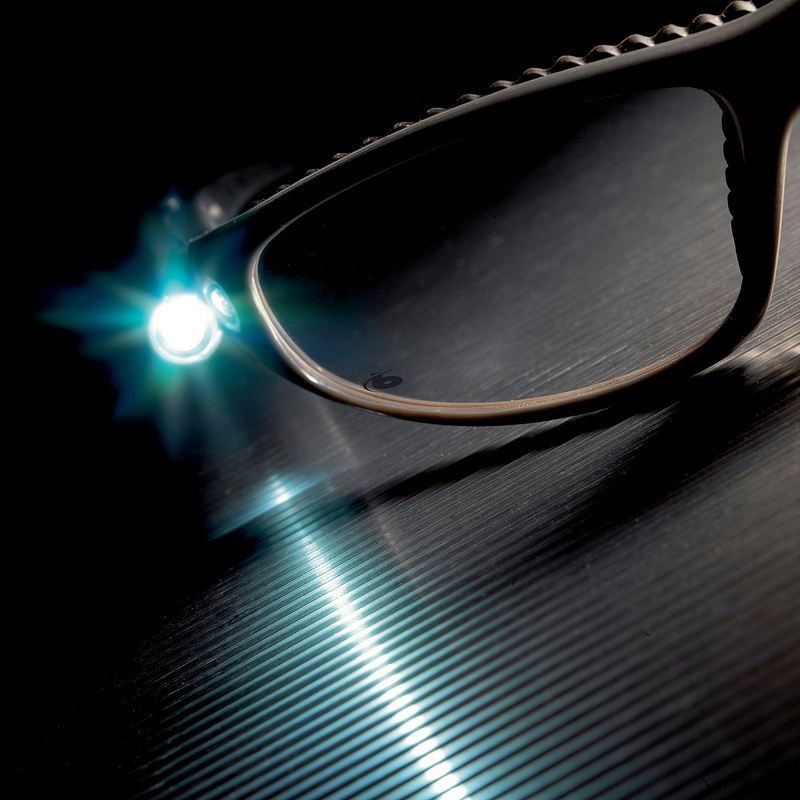 The anti-scratch coating acts as a shield that improves the resistance of lenses and reduces the formation of scratches. 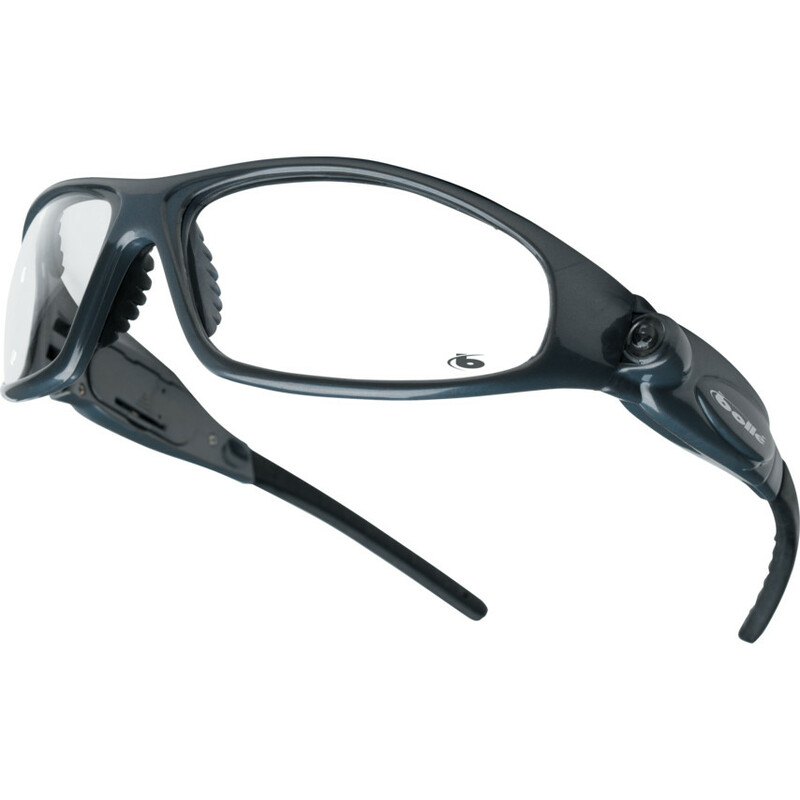 Bolle Galaxy GALAPSI safety glasses conforms to EN 166 and EN 170 Anti-Fog, Anti-Scratch standards. Lights on front of both temples. Supplied with a free micro fibre cloth and batteries.